Deciduous perennial. 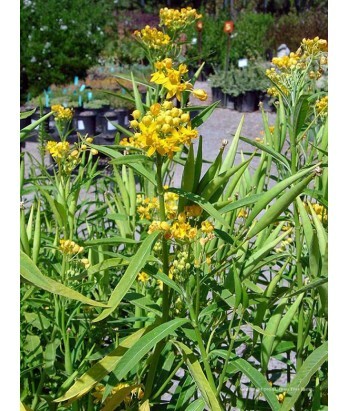 Tall, slender stems with narrow leaves bear clusters of orange-yellow flowers in summer. Seed pods open when ripe to display silky fluff allowing the seeds to disburse through the air. In areas where winter is mild, may be evergreen. Caterpillars of monarch butterflies eat leaves. Moderate water needs in well-drained soil once established. Hardy to 15°F.